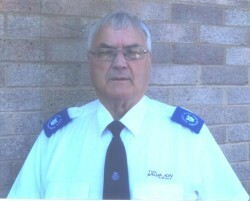 The Solent Fellowship Band has announced, with great sadness, the passing of one of its stalwart members, Dennis North. North played Eb bass with the band until very recently when ill health forced him to ease off. Despite living perhaps the furthest away from the band’s rehearsal venue, he was always dependable and displayed great enthusiasm for the band. North attended St. Marybourne and Whitchurch schools, learning to play cornet at age 7 in the Salvation Army at St. Marybourne. He spent his National Service in the Royal Air Force as a euphonium player and on his return was appointed bandmaster at St. Marybourne. After four years, he left the Salvation Army and entered the dance band world, spending 34 years as a trumpet player. Sadly, after 50 years of marriage, his wife, Irene, died. North returned to the Salvation Army at Andover and took up the euphonium again. In 2003, he married Noelyn and in 2004 both joined the Solent Fellowship Band. The band expressed that their thoughts and prayers are with Captain Noelyn North, who remains a member of the band, and the other members of North’s family. The funeral for North will be held on Friday, 18 October 2013 at Andover Corps. A number of Fellowship Band members will augment the Andover Band for the occasion. This article was posted in News and tagged Dennis North, Noelyn North, obituary, Solent Fellowship Band on 17 October 2013 .